I've finally gotten around to doing this, so here it is; the brand new reboot of the Thrive Universe (TU). Because of how much has changed and how disorganised the previous iteration has become, it is much easier just to start a new thread. For those who are previous members of the TU, please submit your applications again below, as it is restarting from a blank slate. Sorry about this, but it is for clarity's sake. For those who are not familiar with this, let me explain; the Thrive Universe is a community driven, interactive project where players can add their own inventions to the universe and interact through stories. 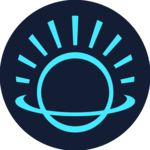 The backbone of the universe is the Thrive Community Wiki, which will be used to store the storylines and creations, all in one place. It should be noted that this is not an official in-game universe, and is merely a fan-creation. The substance of the Thrive Universe is worldbuilding; worldbuilding by you! If you have an idea that you want to see in the TU, then feel free to submit it. What sort of things can you submit? Well, there are all manner of things: people, species, planets, technology, diseases etc. If you aren't sure, then just submit it here and we will inform you. So, you've got your idea, how do you go about getting it into the TU? Write out your idea in a post in this thread. As it will eventually be stored as a page in the wiki, we need you to write it out as your wiki page will look. It's your page; it can be as broad or as detailed as you like! It would also be helpful if you could title your post with the name of your idea and the type. E.g. The Tyyrd (Sentient Reptilian). Once you have submitted your post, the moderators of the universe (The Council of Elders) will review it. This is to ensure that it complies with our rules about submissions: it must not break the existing continuity of the universe, and it also must be semi-realistic. What the latter means is that, although we aren't going to be super-strict about accurate science, we still want it to feel quite realistic, and so your submissions will need logical and decent explanations. If you aren't sure, just ask one of us. We will then tell you the result of the review on this page, so keep your eyes peeled. If it fails, we will tell you why and you can do with that what you will. If it passes, you are then clear to move onto the next stage. This means you can officially create a wiki page of your idea and we will add it to the central hub page of the TU. And your idea is now a part of the TU canon, by Sven! If you ever want to add more to the page at a later date, please also submit these changes in the same way as you originally did. This is for stuff like adding more content, like history and not things like changing the grammar of your page. If you want to change information, then please alert us here and we will tell you if that's okay. It probably will be unless it affects ideas other than your own. The process is very similar to the above. If you have an idea for a story, then submit it on a post in this thread (with permission from all creations involved mind). It will then be screened for breaking continuity and realism. If it passes the review, it is a canon event. You should then make it a wiki page, which we will then connect to the TU hub. Also, it can be added to other pages if it includes them. And thus, you have created history! 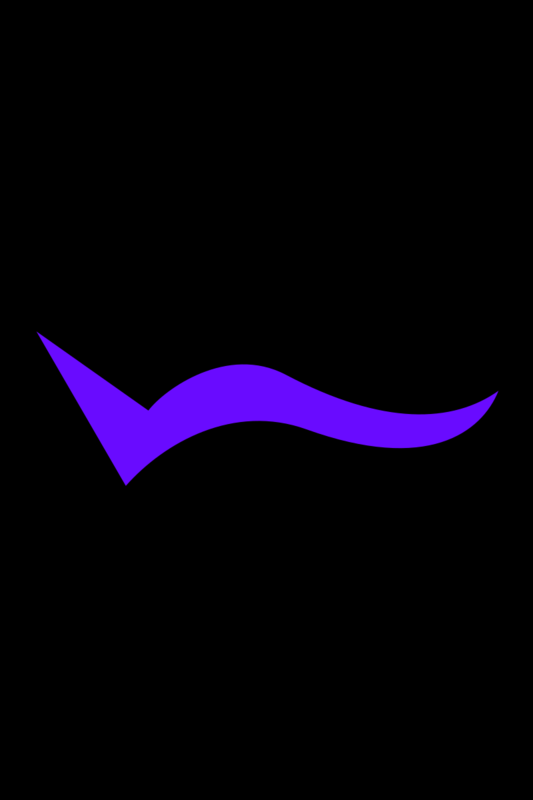 The Thrive Universe uses BSE and ASE to label the timeline. BSE and ASE stands for Before Space Expansion and After Space Expansion, respectively. 2050 AD, the year Humans started using FTL technology, is 1 ASE. When writing up events, history, or lore, be sure to keep the rest of the timeline in mind. Inconsistencies will not be approved. We will be taking all major events and history and putting them all into one main timeline on the wiki page. Use this map to specify where exactly your worlds are or what territory your empire controls. Feel free to draw on it to show where your planets/empires are, or simply do your best to describe where they are. Similar to the timeline, we will also be putting all planets, empires, etc. onto one map on the wiki. Please note that if you have not directly provided a visual for the placement of your planets/empires, we will have to guess for you based on how you described their position. Obey the commands of the moderators of the TU (The Council of Elders). Do not create or edit any TU page without it being approved. Do not effect another player's creations without their permission. Do not write on the TU hub page. Only moderators are allowed to do that. Type: Sapient (-ish) species (-ish). 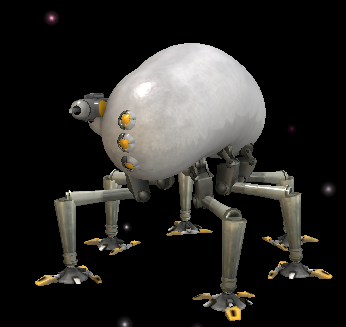 Biological Description: Small, round body, with 4 insectoid legs extending from it. No appearant disticnt head, three yellow robotic eyes lined after eachother. Small gun attached to the right side of the front of the body. 'Skin' made out of metal, or plasitcs (depends on what's avaible). Specific feature's may vary with individual droids. Backstory and Behavior: The Exar are some type of Von-Neumann droids designed by an unkown species. Although their exact goal remains unkown, it is assumed that they where made in order to explore the galaxy for their creators. There are two type's of Exar: the Droids, which collect resource's and gain data, and the Mother-Ships which make new droids, store data, and travel to new study-objectives. Exar can often be seen taking sample's from their surroundings, as well as killing non-sapient species to perform autopsies on them. The Exar have never been observed killing a member of a near sapient or sapient species (unless provoked). Exar can sometimes be observed sending signals to eachother, and to Mother-Ships. They can also rarely be observed sending signals to an unkown source (presumed to be their creators). No civilliasation has been able to decipher these signals as of yet. Exar tend to stay on one study-object for about 10 earth years. In which time they try to gain data on the climate, geography, geographical action, and bio-sphere of the planet. Disposition: Passive, unless provoked. When provoked, efficient and without mercy. Population: Unkown. Estimated to be in between the billions and the trillions. Biological description: 3m tall bipeds with bird like heads, anomalacrid like eyes and long, thin limbs. Hands face upwards with 4 fingers and 2 thumbs each. Feet have 2 long toes on each foot. 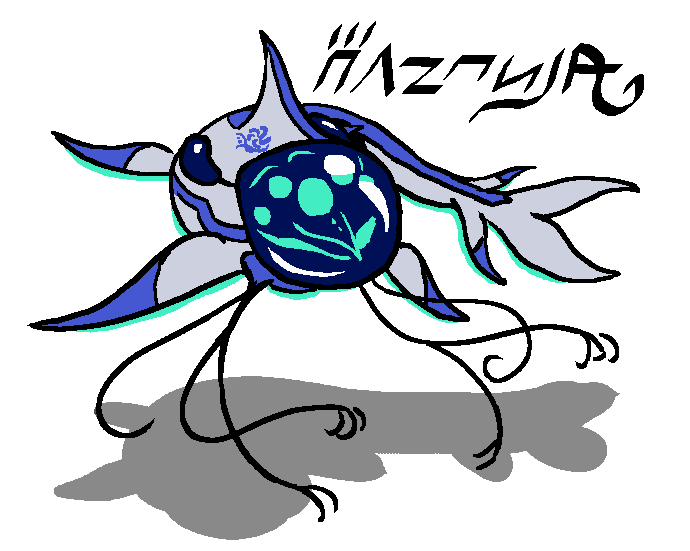 The body resembles that of Subnautica's Sea Striders, featuring a very short tail. Average lifespan is 150 years but stem cell technology will extend that for individuals with more important jobs (mainly long duration space expeditions) Aktarians communicate with clicks, hisses, whistles and barks. Backstory and behaviour: A young race (only 3000 years old), the Aktarians are very grateful for the planet they live on. Bursting with resources, Aktar 4 rapidly boosted the species to the stars allowing the Aktarians to gain a foothold in its region of space before bigger empires reached them first. For the first 500 years or so, the population was confined to the desert/savanna/grassland continent of South Cylo, living in nomadic tribes and primitive civilisations. For the next 1500 years, the continent was full of desert royal empires, warring nations in the grasslands and religious groups in the valleys and mountains. The species had also moved into North Cylo, where culture seemed like a real life version of For Honor with its feudal realms; and also into the continent of Asio, where industrial civilisations based on exploration were beginning. A few hundred years on and civilisation made a huge leap as the Asioans finally were able to extract the huge amount of oil from the top of the towering rock spires they lived around. In the far mountains of North Cylo, empires were mining a natural form of gunpowder. In South Cylo new, modern civilisations based on democracy or oligarchy were thriving. During this time, two world wars were fought with the nations in South Cylo and Asio fighting the newly formed North Cylonian Federation. They both ended in close northern defeats. Since then, the two remaining superpowers agreed to not enter any more conflict. Soon after, they made their way to the stars. Due to the diverse planet they originate from, racism isn't so much of an issue, but xenophobic paranoia is. Aktarians are generally slow to trust other societies or cultures and are highly cautious in their actions, despite having a great amount of intelligence. At the moment, the Aktarians are in an alliance with the Ionax empire. Distribution: 17 billion, spread across 4 planets. Society: Two empires reign from Aktar 4; The UCE (United Cylo Empire), a government in which 9 party representatives are elected by the public to lead. This empire is certainly the more vocal of the two, usually being the one to communicate and trade with aliens or fight wars. Citizens live varied lifestyles depending on where they are born, sometimes colonists may have more work opportunities but Akar 4 residents will have a cleaner environment. The communist Asioan Empire sticks to itself most of the time, with its core values focusing on technological improvement, ecology and exploration. Citizens born on Aktar 4 have choice on what Asioan-owned planet they wish to work on, with free transport provided by the state, citizens born on colonial planets equally have the choice to move once they reach adulthood. There is no currency, resources are shared throughout the empire, Asioans and Asio-colonists have their living conditions slightly upgraded depending on how hard they work (this is decided by local union leaders, who are changed each 2 months) which means families will move house a lot. Disposition: The UCE are unlikely to start a war themselves, as Aktar 4's history has taught the species that war causes too much collateral damage, however they are happy to trade and make allies with other alien races. The Asioan Empire will only really communicate with the UCE and the Ionax, which usually consists of reminding each other about the technology development-for-protection agreement they have. Religion: 3-4% of Aktarians worship the sun, nebulae and other "creator" space entities. Technology: Fungoid bio weapons; high power projectile based weaponry; advanced solar energy that uses a modified form of photosynthesising animals to farm energy; hydro electricity power; hyper refineries capable of making fossil fuels 3X more effective. FTL: Method that pushes the ship through spacetime to quickly reach a destination (like doing breaststroke underwater when you pull water around you to propel yourself) about 2x faster than warp travel. Smaller ships will use warp travel. 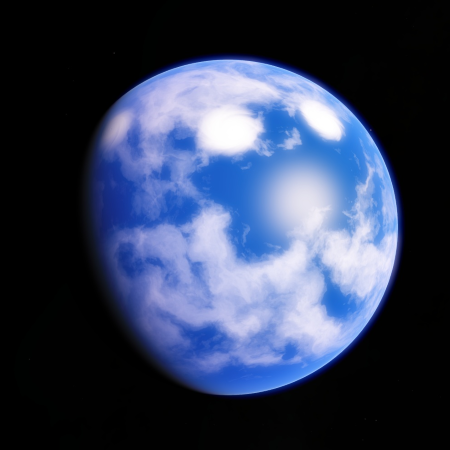 Description: The 4th planet from the Aktar star, this planet is the homeworld of the Aktarians. 70% water and 30% land spread across 5 continent. The planet has an incredibly diverse ecosystem, from deserts to alpine mountains to fungi jungles. The gravity is slightly lower than on Earth, and one day is about 1.5 Earth days. 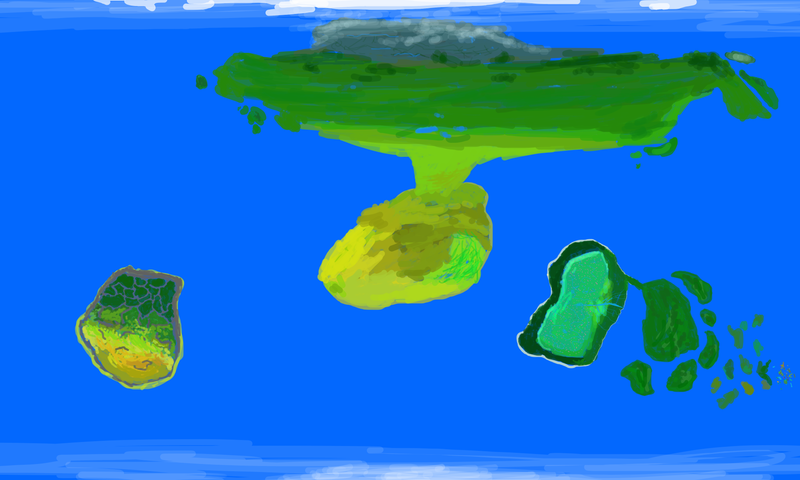 Bintaway (leftmost continent in the map) is one of the most abstract places on the planet. In the north, giant "basin" canyons are home to giant, single leafed trees that are nearly as tall as the rocky borders that encompass them. In the 5-20m off the ground, a giant network of purple strand fungi simply called "The Net". 95% of life lives on or below it, either scurrying on the floor of in the network of underground rivers and caves. In the middle of the continent, rolling hills of strange algae like plants are one of the few lifeforms that can be found in the hostile windy environments. The south of the giant island is one large desert, inhabited by a handful of weird extremophiles. North Cylo, the largest continent, features grasslands in the south, huge expanses of forest and steppes in the mid regions and one gigantic mountain range in the north. Animals in the forests and grasslands are similar to those that have lived on Earth in the present or past. In the mountains, you can find strange variations of animals further south, species with extra horns, a layer of fur or longer limbs for scaling mountainsides. Also in the mountains, around 200 million sapient avian creatures called Feathdacts live in tribes throughout the mountain river valleys. These are protected by the UCE and are even allowed to work in mining operations in the region. South Cylo features a range of forests, grasslands, savannas, deserts, mountains, canyons and mesas. The biggest terrestrial animals live here, from the titanic six legged Quakreo to the dinosaur-like Prodonoe. The capital city of the UCE is here too, a metropolis sprawling over 100 miles. Asio, is one of the main reasons why the Aktarians advanced so quickly. On the outskirts of this island continent, you can find rocky plateau forests in the west, and jungles in the east. In the centre however, the land is filled with giant rock spires towering hundreds of metres into the sky. These rock spires are filled with oil that rises to the top in springs. This central region used to be an ancient sea, which is evident by the large amount of oil and the land that is several metres below sea level. In between the oil spires, the land is filled with exotic swamps and marshlands filled with strange plants and amphibious organisms. The Asioan cities are built around the edges of the rock spires above ground, with bridges connecting them. Kincatee, features five main islands surrounding Kincat, the largest island. All are filled with dense jungle., and many species can be found that fit the same niches as jungle animals on Earth. The central archipelago features more varied environments with jungles, forests, scrublands and volcanic terrain, with the waters filled with tropical reefs. Animals are much more varied here depending on what island they live on and island dwarfism can be seen with species related to those on the main islands. The small collection of islands stretching into the ocean are one of the rarest phenomenons in the galaxy. Most if not all of the organisms inhabiting these islands and the shallow waters around it have not changed for hundreds of millions of years. Fossils found elsewhere on the planet exactly match the living organisms in these "Time Locked Isles". Some of the organisms include the kingdom of life not found anywhere else on the planet, the Plastos; bodies and nervous/brain systems like animals but also use chloroplasts, thermoplasts, electroplasts etc. Due to the tectonic structure of the region it would be considered its own continent if it wasn't so small. The whole location is under strict protection by the Asioan Empire, and is still used for biological research today. The huge oceans of Aktar 4 feature a whole range of undiscovered organisms, some sea creatures are so big, their calls can be heard halfway across the world (underwater). Description: Slohb's surface is 99% water, with only a few islands here and there peeking above sea level. Slohb's oceans are home to a wide variety of life, from simple bacteria to complex multicellular organisms such as the sapient Tireeie. Bekseeib(bek-SEEB), a female Tireeie, wearing typical space-age clothing. 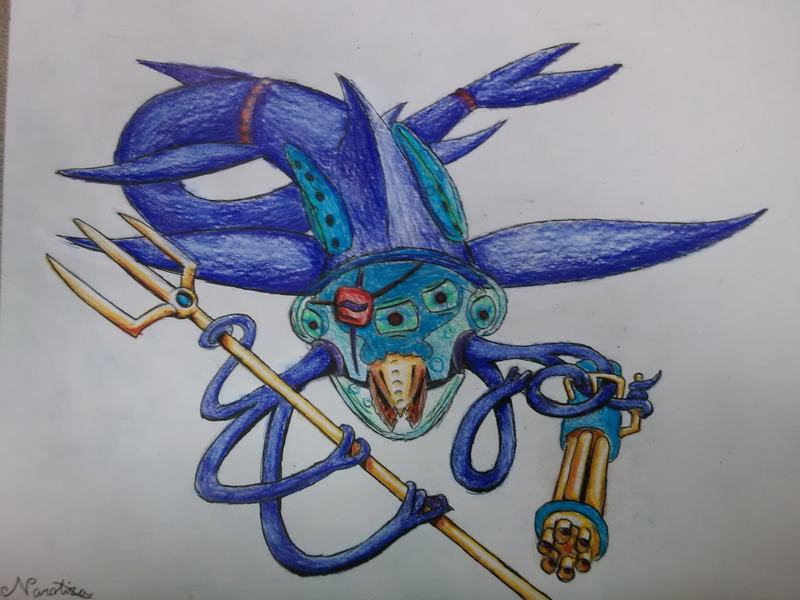 Goldenmaw, leader of the Eiishesh pirates, wearing a dark blue hoversuit and carrying his weapons of choice. A stone-age Tireeie who is helping to spread the word of the newly formed religion of Treaiinu. 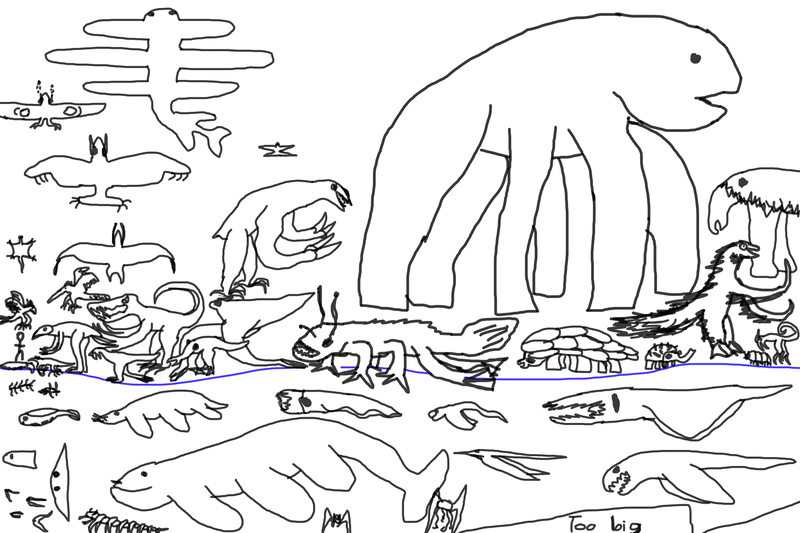 Description: Dolphin-sized organisms with a long, flexible, serpentine body. 6 fins, 5 eyes (arranged in an 'M' pattern) and a three-hinged jaw. Line of nostril-like gills underneath the main fin. Have long, flexible, noodle-like 'arms' that protrude from the cheeks; they branch out into three different appendages, with one, two, and three 'fingers' on each. They have a rather unique voice made of dolphin-like sounds that humans find difficulty in mimicking. Females are a bit smaller and have light blue skin, while males are typically larger and have a darker blue skin. Smaller ships typically filled with water, though larger ships avoid this due to weight. Hoversuit: Skintight suits, capable of hovering, made specifically for Tireeie. They allow Tireeie to survive and float around in non-aquatic environments. Society: Due to being uplifted rather quickly, Tireeie behavior is still catching up, and therefore Tireeie society is still relatively primitive, and, at times, violent. Tireeie society is also very religious. Religion: Around 70% of Tireeie are followers of Treaiinu(TREE-uh-new), and around 98% of Treaiinu's followers are Tireeie. Treaiinu is a religion based on alien visitation of Slohb (these aliens are known as the Treaii(TREE-uh)) and their uplifting of the Tireeie. Treaiinu myths tell of a diamond-shaped object falling from the sky and landing in the water near to Tretoii Island (one of Slohb's few islands, and one of the largest). Other myths tell of a golden city appearing on the island, and of otherworldly creatures helping to quickly advance Tireeie technology and culture. Treaiinu promotes equality, though it doesn't necessarily forbid violence. Later on, the Treaii (who the Tireeie still saw as gods) vanished suddenly, and the golden city on Tretoii Island was destroyed, though the religion remains. The symbol of Treaiinu resembles a round-cut diamond as viewed from the side (see the banner of Tretoii for an example), and the religion's color is gold. 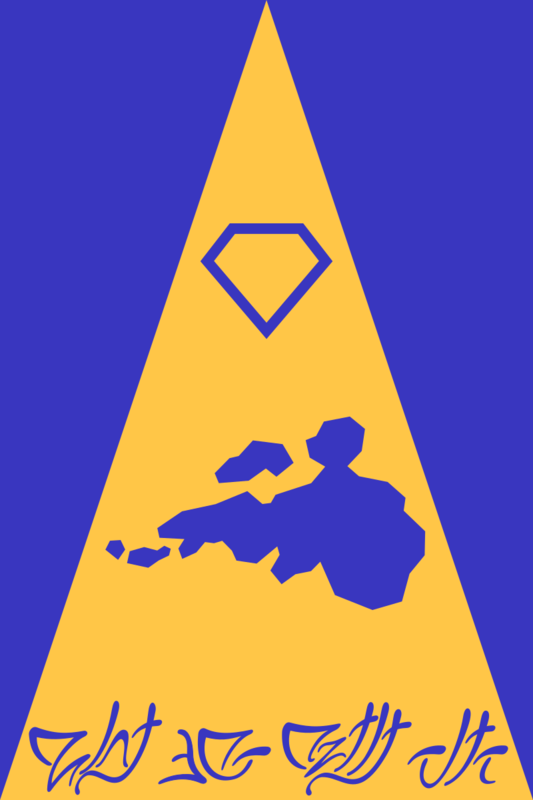 Banner of the Theocratic Republic of Tretoii Island: The diamond at the top represents Treaiinu, the official religion; in the center is a map of Tretoii Island, where the diamond-shaped Treaii object landed near. The text at the bottom reads "Treaii Ltuu Tbieeii Ueiu," which means "The light of the Treaii guides us," the country's motto. The blue represents the oceans of Slohb, and the yellow represents Treaiinu. Many colonies, very few fully terraformed worlds. Society: The Theocratic Republic of Tretoii Island is very religious, like many other Tireeie societies. They value peace, equality, and exploration. Unique Technology: Typical Tireeie technology, such as hoversuits, etc. Mainly small stations, rarely any permanent colonies. Spread throughout the galaxy, clustered near the edge, far from the core. Society: The Eiishesh are Tireeie space pirates feared in many parts of the galaxy. They are known for attacking ships, stations, and sometimes even planets in search of money and technology, often leaving no survivors. They are so well known, they give Tireeie in general a bad image. Religion: An extreme variant of Treaiinu that calls only for equality among Tireeie, disregarding any other lifeforms. Unique Technology: Typical Tireeie technology; not as advanced as that of developed Tireeie nations. I think this is allowed...right? (Present year 72 ASE) Sitting up in bed, Corvos was lost in thought. He could still remember the day clearly. The day his whole life changed, for better or worse he didn't know at the time but it was the day he became known as a rebel to his own people. The battle was a mess of blood, guts, metal and wires. Corvos, soldier of the Xexel Military, was helping a fellow soldier limp away from a battle with the Iron Battalion. The soldier had been shot through the joint in their right leg, rendering it useless. Never one to let a comrade-in-arms fall, Corvos continued to help the soldier limp along until suddenly they heard the distinct sound of a Nova Cannon being fired. Corvos only had enough time to shove the soldier further ahead when the electrically-charged blast slammed into Corvos, tearing off his right arm and shoulder. Realizing the battle was a lost cause, Corvos used his remaining arm to help the soldier up and the two battered soldiers managed to make their way to the extraction point. On the way back to Xexel Corvos couldn't help but reminiscence on the battle. Only about 1,000 of them survived and even then their enemy had a distinct advantage; variety. The problem with them all being Ionax is that functionally they were all pretty much the same, whereas the Iron Battalion had species of all kinds to fit certain military niches. Whoever ruled the Iron Battalion evidently knew how to take advantage of species biology. But even the worst injury paled in comparison to what awaited Corvos when they docked back at Xexel. When they arrived at Xexel, Corvos was surprised to learn he was to meet with the Official immediately. Still clutching at the area where his entire arm had been blown off, he followed the escorts to the Official's building. After what seemed like hours of walking he finally arrived at the Official's courtroom where he saw Official Ridus standing above him on a balcony. The escorts took their places as guards as Ridus spoke, her voice resonant "Soldier Corvos of the Xexel Military, I am aware of the events that happened on Zarron and aware of the many lives you saved." Corvos had a brief inward smile until he heard her continue "However, I can evidently see the severe damage inflicted on you during the battle. Our sources are limited and we cannot afford to repair you. As such I hereby order you to submit yourself to the Meltdown Protocol.". Now Corvos was afraid, something he had legitimately never felt before. Unlike alot of other Ionax, Corvos had a strong will to live and immediately started to try and reason "Wait a minute! Isn't there some sort of other solution we can think of?! We're losing several Ionax already, killing others won't solve the problem!". Ridus simply replied with "I am sorry that you will not comply. Guards, seize him.". Before any of the guards could react Corvos barged right through two of them guarding the exit and began running. He wanted to live, and to do that he had only one option; flee the empire. He continued to race through the city-ship, dodging guards sent after him and the occasional citizen that got in the way. He continued to run until he got the docking bay (taking a bullet in the foot in the process which tore his plating up), proceeding to worriedly look around for any means to escape. His worry lessened when he saw a small combat ship docked and, while he felt guilty that he would have to steal it, made his way inside and began the startup procedure. By the time the guards caught up Corvos hit the launch button and blasted off into the vast unknown. For almost 1 week in Human time Corvos had been wandering through space desperate to escape any possible tracking by the Ionax Empire. Thankfully he ha finally found a destination that was far away from possible Ionax Empire influence, a UW (United Worlds) space station that wouldn't be discriminant of an Ionax passing through. Unfortunately, 1 week without any sort of repair had left Corvos's Positium Core drained and was on the verge of involuntarily powering down. By the time he had docked the ship (a little sloppily considering he only had one arm to work with) Corvos tried to stumbled towards the bridge, only to power down and collapse onto the floor of the ship. It seemed like only moments later when Corvos regained consciousness and he found himself lying on a table in a steel room. Confusedly sitting up, Corvos realized he was bracing himself on two hands...only to look to the right and, much to his surprise, find that he had a new arm! It was a bright, shiny steel that stood out against his dark plating but nevertheless it matched the length of his other arm. Looking himself over for any other repairs, he saw that the hole in his left foot had been patched with the same metal. Corvos then heard muffled voices and turned towards the only door in the room. The door then opened and Corvos found himself staring into the eyes of a young Human woman, maybe around 24 years old, who looked at him in shock. For awhile there was a chilling silence until the Human woman broke the ice by asking "Y-you're...awake!?!" A few years ago, Corvos would've been ashamed to say that he was a rebel. But nowadays, he didn't care. He now lead his own life alongside his beloved, that same Human woman who Corvos had come to know as Caitlin Sheer. He himself now went by Corvos Sheer, their adopted son and daughter loved him as their dad and he loved them back. He knew now that isolation was not the answer, it lied in workings and bonding with others. Lanky Giraffe and Narotiza , you are cleared to make your wiki pages. Just let me know when they are done so I can add them. 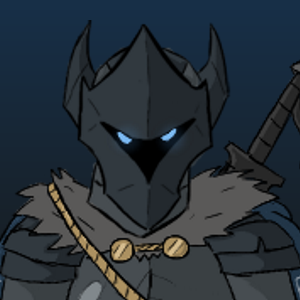 TheGraveKnight , do you have a wiki page for the Ionax? Also, you story is great. It's been accepted into the TU, can you turn it into a wiki page please? Edit: Aquos, I added the Exar to the TU wiki page. Edit: Aquos , I added the Exar to the TU wiki page. I have a wiki page for the Ionax but it isn't very good. I'm not the best with the wiki tools so you might have to do it. Biology: Not much of the plantlife stands tall and prefers to just grow like moss around watery areas, there are some plants that live on oil instead. Most lifeforms live around the south and northpole because that is the only place that has liquid water above ground. There are underground rivers trough the entire planet. Most of these are unmapped by the Rag'Kor. Biology: Big Strong hulking beasts, they reproduce once each 100 years and get around 5 cubs a nest. 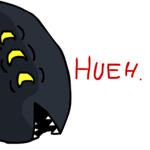 History: Unknown to others as even if the rag'kor are fairly friendly. They dont let on about their science or history to other species. The Rag'kor first important event was them settling the other side of the planet, the south pole. This happened when the clans discovered the big body of water on the other side of the planet. They wanted to expand so settled there. These clans eventually started to create their very own culture. very different from the Rag'Kor on the northpole. The first Rag'Kor that became sentient crawled out of the deep water of Tal'Sa. This is the sea at the northpole of rag. By evolving their land legs they left their cousins the Rag'Tal in the sea. They started forming families, then Clans. Their long lifespan helped them be more peacefull then some other sentient races. But this didnt prevent them from having 100 year long wars between indivudual clans. Until eventually they founded the Clan leader system. In wich one clan takes the lead each 1000 years. While each clan still strives for more power and more land, they do it in a political manner. The Av'Ta'Ra the first leader clan whom got the Rag'Kor into space. Ka'To was from the Ta'Ra and the Ta'Ra are still early in their prime, being the leaders for only 250 years. The Ta'Ra might be the ones who set the Rag'Kor their name in the stars. Combat style: The Rag'Kor while liking competitive friendly sports and friendly training. They fight small conflicts with pure physical strength. But all out wars they fight in a way that lots of others might condome, instead of fighting with fleets and ships. They use their wormhole drive and sciences to strike unexpectedly. Besides this disease they send in highly advanced computer virusses to defeat the opponents systems. So far no other species has seen the Rag'Kor at war yet, so even if they look weak. Their opponent might be in for a suprise. 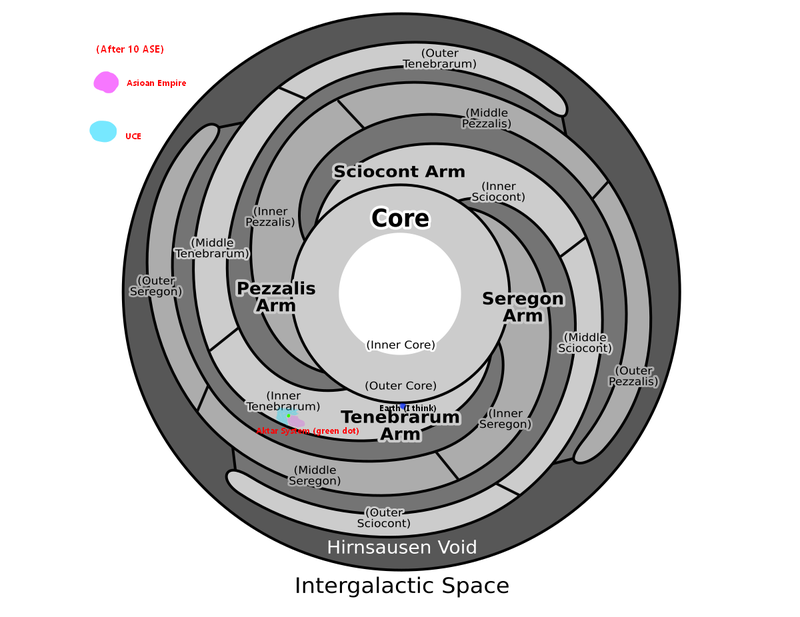 Distribution: around 100k lightyear area around the ragkor homeworld. Species: Mainly Rag'Kor, but they accept whomever wants to assist them in their tasks. Description: The Bor’Rak’Sarra group is a mercenary group as they assist any whom hires them. While small it is one of the most feared military groups that exist within relay space. They are able to deliver swift strikes to target but are also deffinitly able to fight a full scale battle. This clan does ask for a significant amount of wealth for their business as its rumored that they have yet to fail a mission. The Kag'naruah is an aquatic creature that sports two pairs of fins, a pair of arms and a large tentacle mass at the end of its body. It has 18 spikes going down its back, as well as horns on its head. It has 5 eyes; two pairs of eyes on either side of its head and an eye on the top of its head. Its hands have six fingers with skin connecting them. Behaviour- The Kag'naruah lives a predatory lifestyle, and charges down its prey. It will only ever change direction if it finds easier targets or a Fijkingula. If it spots a Fijkingula, it will attempt to wrestle it into submission. If it forces the Fijkingula into submission, it leaves it to die. It can be killed by the Fijkingula, though. The Fijkingula is an aquatic creature that sports 3 pairs of fins, underdeveloped arms, a massive sail-like structure on its back and a mass of tentacles on the end of its body. It has 40 eyes (30 of which are below its mouth). Behaviour-Like the Kag'naruah, this lives a predatory lifestyle. Unlike the Kag'naruah, it does not mindlessly charge down prey. Instead, it will attempt to sneak up behind it and bring it to its death. The Rizzinx'Kagula is an aquatic creature with two pairs of fins, a pair of arms and a large sail running down its back. It has two spikes at the bottom of its head, and a translucent membrane on its stomach area shows its internal reproductive system. It has two pairs of eyes. Behaviour-This creature has the most complex brain of its ecosystem, and therefore has a more complex hunting method-stalking, grabbing and mauling. the deep space market is a corner stone of the space pirate scum.located on planet SCFORNM9 which mostly made of metal's and reactive fuels makes it an ideal for getting free building materials. while the market is known for its trading of goods and bad's it has made it's name on quality unregistered space ships ranging from tiny drones to massive freighters however their usually out of price range of the average criminal so only the wealthy shop for these ships. 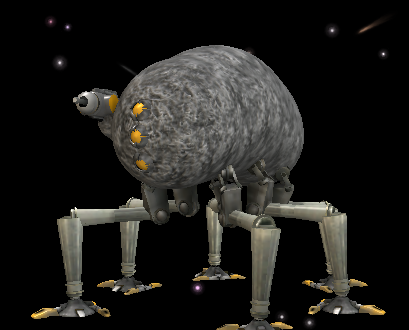 weighing at a little under 6 tons and and stands over 3 meters on it's pair of therapod like legs this mechanical ruler of the seven galaxies is a foe not to be crossed. with one arm being like a robotic tentacle that splits off to me two with hands made to manipulate objects and another arm purely made for crushing with its grasping claws. it's head is crocodile in shape but when the jaws open it shoots twelve harpoons at its target to make sure they don't escape. the body is like a snake with very little armor but can coil around and slink around the environment with ease,the legs are purely for show. his history is simple made by the Maccabeus for war he was reprogrammed to have emotions and free will. he betrayed the reprogrammer, escaped, started his business through illegal means and eventually became the wealthy thing he is now.right now his goal is to maintain a healthy business and eventually take over a few super weapons to cease control of the local empires to become all powerful. he is a business man and a coward so he likes to negotiate his way out of problems tho if it does come to it he won't play fair usually trying to mince meat his opponent as fast as possible. he does have a fleet of robotic solider's with their own space ships when going on any big raids but their more of a last resort sense he will only raid if its the only option but when he does raid the he brings best ship that the deep space market has built. 2 big bens high and 3 big bens long this behemoth is only ever used when it's the only choice. this modified freighter carry's may have no long range capability it still has 12 fission cannons capable of blowing holes in the toughest of ships and abundance of lock on missiles insure that smaller ships don't get out alive. it engine is nuclear and everywhere else besides the Belgium pit is purely for storing more soldier's and ship. The X1-003A2C Civilization (Or XAC for short) is a collection of highly adaptive nano bots with unknown origins. The only thing we know for sure is that at one point, they were an organic race (As recorded based on XACian records taken after the War of the Nine: See history section for more info). The act under a sort of hive mind, each nano bot being connected wirelessly (via quantum internet) to other nano bots. These connections allow the nano bots to act as the "neurons" in the huge "brain" that all these bots connect to make. Think of it as a giant computer, storing each and every last XACian's conscience. Each XACian lives in a virtual space that is indistinguishable from the real world, except that they can manipulate it in any way they please. They are also allowed to interact with other XACians' worlds as well, however, with less control. XACians may interact with the outside world as well, assuming they aren't interrupting any of the nano bots' current tasks. The nano bots themselves act more as a vessel. 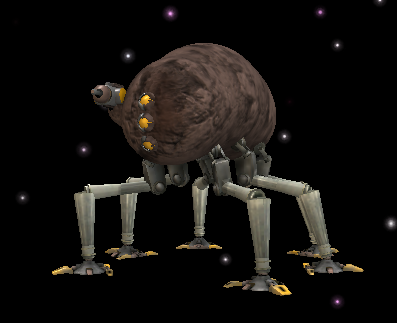 Most nano bots are programmed to perform certain repetitive tasks, such as building Harvester Colonies, Energy Mines, or acting as a general defense against outside forces. Each nano bot is fitted with special technology that allows it to attach itself with other nanobots, allowing them to form any kind of structure simply by arranging themselves in the right patterns. Harvester Colonies: Harvester Colonies are formed when a certain resource is needed. In this event, a group of nano bots will attach themselves to any celestial body with the needed resources. This includes everything from comets, to even stars, something most races don't figure out until they become a type 3 civilization. They will then slowly "eat" the mass, while simultaneously acting as a sort of factory for whatever needs to be produced using those materials. If all the resources necessary are not present on the one mass, they will construct space vessels to carry the needed materials to a different Harvester Colony to be assembled. Energy Mines: Energy Mines are used for extracting energy from stars. When a suitable star is found, a group of nano bots will encase the star in a sort of shell. They then begin to convert all available forms of energy (Heat and light) into usable electricity, which they transfer to other nano bots via a complicated process based on quantum tunneling. When a star begins to die, the mine is reassembled into a Harvester Colony, where the star is broken down into useful materials. Not much is known about the X1-003A2C Civilization, as it is difficult to interact with any actual XACians, and even when you do, they aren't very keen on telling others' about their past. However, there are a few things we think we know. First of all, we know for sure that they were at one point an organic race. During the War of the Nine, 9 huge civilizations (The Thwarks, the Homonarian Civ., the Z8-004C3E, the Zergont Empire, the Republic of Qwark, the Guvantee, the Chards, the Uzamplee Civ., and the X1-003A2C Civilization) fought over a section of the Niordy Galaxy originally owned by the fallen Civilization, the Rantash. During this dispute, the Homonarian Civilization attacked a cluster of XACian nano bots. While the XACians won, the Homonarians got away with one of their historical logs. The log read as such, "...we made our new home. A capsule for all our kind. Our home would destroy and create, and give us the freedoms we enjoy today. We rise out of the ashes into a new age, an age without flesh and bone...". Based on this, we can conclude that at one point in the past, they uploaded their consciences into their current virtual state. They are also believed to be one of the first Civilizations to develop within the Niordy Galaxy, as records of their existence go back nearly 1.3 billion years. We also have some artifacts that are believed to have XACian origins. Some of these include: a sculpture depicting a solar system, an ancient satellite with a golden disk on the inside, a recipe for a type of soup, a corroded computer chip and storage device, an aluminum canister, and the most interesting; a faded picture of some creatures standing in front of a night sky (Possibly a picture of what XACians looked like?). Biological description: An average Trionite (female or male) is about 2m tall in height, slightly surpassing an average human. The Trionites possess a round head with 3 vertically aligned, pupil-less eyes, (the color depends on gender. Males have yellow eyes, females have blue eyes.) a vertical mouth at the bottom of the head with 8 small sharp teeth. They have 2 arms with 3 fingers on each arm, one front and one back leg. Their skin is of a dark, blue color, almost black with an overall smooth texture and no hair. On average, a Trionite is slightly stronger than a human, but not by much. They communicate through several growls and calls. 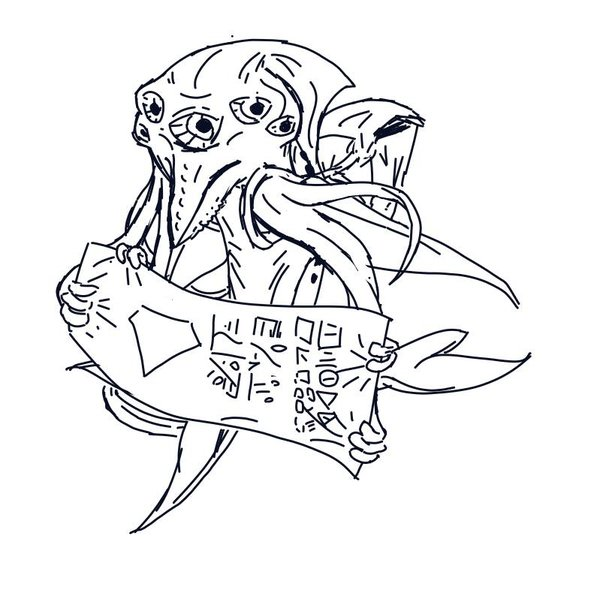 Having descended from a Tripodial species nearly 3.1 million years ago, they have become the second sapient species on their homeworld, Osris-1. During this time, they have learned how to create tools and establish a society, however soon after, they were thrown into a war with the first sapient species of the planet, the Primii. After a long war, with the downfall of many well known Trionites in history, they were pushed back into the main village and used as slaves for a short period of time. After 4 years, they rebelled and were freed. The two species agreed on a reluctant peace and let each other be. After reaching their equivalent of the bronze age, they went on a search for the Primii, but to no avail, as they have migrated far away over the years in order to make contact with the Trionites less likely. After both species were on the verge of becoming advanced civilizations, they finally made contact again and truly made peace. The two species now live in a mixed society in several cities and villages all around their world.They have developed space travel and are capable of seeking out other life in the universe. They are currently allied with the Creepus. The Trionites are generally an accepting society. They try to accept new allies, change...etc. But that is also a big issue. Sometimes they're seen as too trusting. This is also a stereotype that a few Primii who still don't accept living with the Trionites have. The stereotype being that they're so trusting, that they would befriend an obviously dangerous creature/species. They are also curious about other life in the universe. They wish to learn about their ways, culture and biology. Umroed: The main leaders of the society, there are usually up to 4 or 5 of them. They make the most crucial political decisions. Dalav: The lower rank leaders. They influence important political decisions. Aremeg: They are the lowest rank politicians. They influence mildly important political decisions. Disposition: Generally accepting and curious. Distribution: Most of them are on Osris-1, but they have small colonies established on 2 other planets and 7 moons. Some at the edge of another solar system. Technology: They are an advanced species, with the capability to travel to outer space. They have developed a lot of technology, however, they have yet to develop lasers. Their weapons are mostly projectile weapons and melee weaponry. Religion: Around 11% of the entire Trionite population believe in an ancient god that was worshiped in their tribal times (Said god was an alien research probe). The majority have accepted atheism. FTL: A slightly primitive warp system. StealthStyleL I updated my entry to include the planet and more info on the species, can you do another "not OP" check? Physiology: The Giree are a lanky species sharing traits with Earth's gastropods. A Giree’s tentacled head is topped with a single eye. Each arm ends with a four-digit hand, including its thumb. Their feet have three digits; the inner one is the largest, while the outer one, the smallest, is opposed to the other two and suspended further up the "ankle." Diet: Giree are omnivores. Their extendable sucker-mouth located beneath their face-tentacles hosts a radula that can cut pieces of both plant and animal matter, but the mouth itself is incapable of properly chewing. Lifespan: Giree, on average, live up to 60 Earth years of age. Those with access to their best medical technology can reach around 100 years. Population: Estimated to be around 40 billion. Distribution: Almost all live as citizens of the Sovereign Biktom Directorate, which spans roughly 20 light years and incorporates 9 habitable systems. The remainder are usually Giree that have run afoul of the Directorate, and have since escaped to a life of piracy. Disposition: Originally a shy and empathetic race, the Giree were hardened by a brutal unification war. They have since become, for the most part, distrusting of others. Technology: The Giree are a reasonably advanced spacefaring race, utilizing warp technology to move faster than light. They have a habit of incorporating "petals" or "star points" into their structures and equipment. Culture: Giree live a life of cynicism and suspicion. Years of dwelling in dense, crime-ridden cities under the oppressive Directorate have left the common Giree with an equal distaste for their peers as for the Directorate itself. There are exceptions to the norm, but this leaves them unable to perform well in the Directorate hierarchy's environment of ruthless competition. The practice of organized religion has been strictly limited by the Directorate, ostensibly due to its notoriety after the Biktom-spanning unification war (religion was considered to have failed its role as a vessel of stability, a role the Directorate now occupies), but also due to the Directorate's desire to crush anything that could consolidate influence at its expense. As a result, roughly 85% of Giree are nonreligious. Most of the remainder follow a belief system known as "Pattice," an ancient monotheistic religion centering around Raumtuck, a benevolent god whom early Pattice constituents recorded as having intervened on their behalf to repel hostile forces. The tenets of Pattice include the inherent tendencies towards courtesy and respect Giree have, but also the need to rise to self-defense when necessary. Some followers believe that Raumtuck will intervene once again, this time to cast off the Directorate, while others claim the Directorate itself is his intervention against another great war (a view the Directorate fosters through subterfuge). The green evokes safety amidst a cold, gray void. Structure: A centralized, totalitarian police state. It is headed by the Chief Administrator, followed by the High Council that elected him or her. From there extends the Directorate's vast bureaucratic hierarchy. Common Giree can ascend the political ranks through either military service, or performing well in white-collar tasks they are assigned to (in which case, the Directorate saw potential in them anyway). The position of Chief Administrator deals with tasks that the High Council would be too slow to effectively perform, such as organizing the military, performing “diplomacy,” and breaking ties in the High Council. The High Council consists of 20 Giree who, much like the Chief Administrator, hold lifelong terms. They deal with producing new laws to govern the Directorate. When one of them dies or retires, the remaining High Administrators vote to select a Giree of lower statue to join them. The same applies to selecting one among them to ascend to the position of Chief Administrator. High Administrators often use political subterfuge within the Directorate itself, elevating loyal Giree to useful positions as part of a lifelong scheme to become the next Chief Administrator. Foreign Policy: The Directorate is extremely isolationist, preferring not to engage in open, direct diplomacy unless absolutely necessary. Instead, it uses a Chief Administrator-run organization, the Directorate Intelligence Network, to observe and manipulate foreign powers to the Directorate's ends. Military: Due to the Giree's non-confrontational nature, the Directorate armed forces have a preference for long-ranged weapons (sniper rifles, artillery, etc.). By the same token, they also have a fondness for unmanned combat drones. The strongest ship at the Directorate Fleet's disposal is the Zenith-class Cruiser, which hosts a high-intensity laser cannon with a floral opening, as well as arrays of missile launchers. In general, the Directorate favors energy weapons over kinetic ones. Disclaimer: I would like to submit an improved Thyron application some time in the future, but, for now, I think the Giree are more malleable story-wise. Is it ok if I split up the Tireeie page into four different ones? Currently it's got Slohb, the Tireeie, Tretoii, and Eiishesh all on one page. Sure Naro, just mention when you are done. The rest of you, Imwill get to you. Biological Description: Mi'Riki are commonly 6"8" organisms that have insect-like features. They are vertebrates with soft, dull-grey skin that can change color. Their head have prominent crests, three compound eyes, small tentacle-like glands near the eyes that emit pheromones (used to convey mood) and a proboscis for feeding. They have long arms that end in three-fingered sharp claws used to pin down prey along. They have digitigrade legs that end in two-toed feet. One of these toes is a raised claw also used to pin down prey. We are introducing a timeline system to the TU! Now you can add a History section to your submissions and create events. We also now have a Discord server! Anyone is free to join, and users with accepted submissions in the TU are given a special role. Additionally, we are introducing a galaxy map! Use it to specify where exactly your worlds are or what territory your empire controls. This information has been added to the original post in this thread. Fleet Commander Xivas eyed the great expanse past the observation deck, unfazed by the turbulence of his ship, a formidable Aegis-class, as it disengaged warp travel. For several days, the Ionax had lost contact with civilian ships not far from the isolationist Biktom Directorate. Although the Directorate itself was (not unreasonably) the initial suspect, the culprit was found to be a clan of Giree pirates unaffiliated with their species’s patron empire. Still, the wrecks raised more questions than answers; analysis of the ships’ data logs showed signs of forced entry, implying that the pirates had looted not only commodities, but information as well. The implications – of who could use the data, for what – were unsettling. Still, for all its quirks, the clan displayed nothing else of note. Its base of operations was a meager asteroid facility, boasting only a single flak battery resembling a floral satellite dish, as well as a hangar that seemed unsuitable for more than a few fighter squadrons. Due to this, only a small counterraid fleet was deemed necessary to remove these defenses. Xivas, recently-appointed, had been chosen to lead this raid in order to prove his worth in the field. He savored the prestige of leading a fleet into battle aboard an Aegis. Meanwhile, in the same ship, Sergeant Zul prepared with his squad for the next step: to infiltrate the base itself in a search for the stolen data - and, if possible, the pirates' intentions for it - while neutralizing any resistance that remained. He made sure to pack adequate magazines for his Nova Rifle, and equipped his plasma sword’s hilt in an accessible position. Far ahead, Xivas noticed the pirates’ asteroid, bathed in the glow of an unclaimed red dwarf. Some of the fleet’s smaller vessels - particularly Arbiter-class warships - drifted ahead, arranging themselves to most efficiently tap into the Aegis's protective energy field. Already, icons representing them were within view on the fleet operators’ terminals, colored blue to indicate shield integrity. Soon after, however, the terminals displayed something less comforting. “Multiple vessels are exiting the station’s hangar,” an operator declared. Xivas nodded, faintly making out the gleam of their hulls. He held down a button on his command terminal. “Interceptors, assume forward position,” he commanded. “If the pirate vessels approach, proceed to attack.” “Acknowledged,” the squadron leader replied, and the fleet’s Razor-class ships zoomed to the front of the Aegis. The pirate vessels began circling the asteroid as more continued to emerge, contrary to expectations. Just how many are there? Xivas thought. Just then, a pinprick of green light shone on the asteroid. “The station is activating its-” an operator began, but was cut off as a green ray surged toward the fleet, blasting one of the Arbiters before faltering. The ship’s icon on the terminals began to blink yellow. “The flak discharge dealt damage to shield integrity,” the operator said, “but no hull damage is evident.” However, Xivas did not respond; his attention was diverted to the pirate vessels, which had stopped appearing from the base, and instead began flying toward the fleet. The interceptors immediately sped forward to counter them. “We have the vessels within range,” said the squadron leader. Some of the operators switched their terminals to a view of the interceptors’ flight cameras. “The vessels appear too small for a Giree to pilot effectively,” one noted. Xivas contemplated this, along with the vessels’ underestimated numbers. “The Giree ARE known to prefer combat drones,” another operator added. The vessels that must have been drones were in the shape of two perpendicular crescents. The horizontal one extended further to the sides than its vertical counterpart. Upon the Razors’ approach, they moved in sync to surround their adversaries, peppering them with orange discharges that dealt a pittance to their shields. The Razors, in contrast, retaliated with blue shots that quickly disabled their fragile targets. As the remainder of the fleet came within range, the Ionax warships provided fire support, only to have shield energy burned away by the pirates’ flak gun. Nonetheless, the drones were picked off until none remained. “Interceptors, return to defense position,” Xivas ordered through his terminal. “Fleet, maintain course until we get in range of the station’s flak battery." The ships pressed on, bearing the flak gun’s blows as they approached. The operators’ terminals showed one ship after another falling to suboptimal shield integrity, nearing red-blinking critical status with each ray they withstood. Eventually, however, it fell within targeting range. “Flak battery in range, fire at will!” Xivas declared, and the fleet’s armaments erupted into a surge of blue light as photon streams pummeled the flak gun. Eventually, its most delicate mechanisms could take no more, and the structure exploded with a blinding flash. The high-velocity debris bounced harmlessly off the Ionax ships’ shields. Sergeant Zul stood like a metallic statue as the boarding shuttle silently ferried him and his squad to the pirate base. He gazed intently at the closed docking port before him, awaiting the moment it opened. This was far from Zul’s first assault on a pirate stronghold; he had distinguished himself throughout the ongoing turmoil of the Metallic Void, despite the many brushes with death he had faced. He had been granted the position of sergeant for his proficiency, but, all in all, lived only to see the Ionax through this dark age as a way of honoring his fellow Soldier-Castes’ sacrifices. In this regard, it was his hope that this mission to secure stolen Ionax records would contribute to the Void’s end in some way. The eerie quiet came to an abrupt end when the shuttle trembled upon connecting to the base. A few of the squad’s newest recruits gripped their Nova Rifles tighter, and glanced to their left and right. Meanwhile, its more seasoned members turned to the docking port in unison. With a gust of air, the port slid open to reveal the base’s gritty loading bay, and the squad charged forward. The Ionax were immediately met with a hail of orange energy rounds. Some shots met their mark, creating orange-hot punctures in their quarry’s metallic exteriors. Two squads retreated to their shuttles to provide cover fire, while the rest, Zul’s among them, pressed on. Upon reaching the safety beneath the platform, Zul’s mind raced for his next course of action. He registered that he was accompanied by a second squad and their sergeant. He took note that there was a rocky wall to the right, and that the other advancing squads had made for a tunnel running through it, instead of for the platform’s underside. Straight ahead, there were stairs that led to the platform from behind. To his left, he noticed a stairway curving up to the platform as well. He tapped his fellow sergeant to get his attention. “There’s two stairways,” he said, pointing to both. “We can flank them.” His peer nodded. “Squad, this way!” He beckoned, while Zul gestured his own squad to follow him. Upon reaching the base of the rear stairs, Zul turned his attention to the defending Giree, who wore black bodywear. It seemed that some of them were firing sniper rifles from behind the platform’s barricaded rails, while three had deployed tripods. The guns mounted atop them were adorned with three backwards curves, and fired rapidly to suppress the shuttle-bound Ionax. One of the sniper Giree turned, and Zul noticed… him (?) wearing an optical visor that glowed a malevolent red. “They’re coming up behind!” The sniper called in the Giree common language, dashing for the rear rails as his companions (all adorned with the same headwear) turned around to look. However, before the pirates could engage the new threat, the other squad emerged from the right. With the deafening sound of Nova Rifles, the Giree collapsed, splattering blue hemolymph onto the metallic platform. The other sergeant rushed up to the front of the platform, gesturing toward the stationary Ionax to come out. The band of Ionax continued down a corridor, following the sounds of a fire fight. They emerged to find the remaining squads far off to the right, using large crates as cover from another group of defenders. The base’s second line of defense was not unlike the first, but more numerous, and occupied what appeared to be repurposed excavation scaffolds. “Squad, engage!” The other sergeant ordered, and led his squad to station themselves behind some more crates in a bid to even the odds. The shuttle-entrenched squads from earlier followed suit. Meanwhile, Zul noticed another corridor to the left. “This way,” Zul said to his squad, and hurried through. If his hunch was correct, the new passage would lead to the scaffolds. Sure enough, he discovered a stairwell hosting a spiral staircase. “Split up and attack from behind,” Zul ordered as he dashed up the stairs. He went through the second floor’s door, and came across two emplaced tripods; one was occupied, while the other’s occupant had been gunned down. Zul holstered his Nova Rifle, and crept up to the unaware Giree. He withdrew his Plasma Sword and activated it, its hiss of superheated air drowned out by the shootout’s deafening racket. The blade shimmered an ominous green as Zul crept forward. He gripped the pirate’s shoulder and drove the sword into his back, netting a strained gurgle of surprise. Zul drew the blade as the body fell limp, steam billowing from the cauterized wounds. At the same time, another pirate fell from above and slammed the ground; no doubt the rest of Zul’s squad were finishing off the rest of the first scaffolds’ occupants. Zul deactivated and sheathed his Plasma Sword, his vision set on the second set of scaffolding across the shaft. He re-equipped his Nova Rifle to help see the fire fight to its end. “The main shaft’s defending forces have been wiped out, sir,” the operator said nervously. The Ionax squads regrouped in the center of the main shaft. Despite their fighting through two sets of defending pirates, the location of the base’s command center - where the stolen data would likely be held - was no less clear. After some deliberation, the sergeants agreed to spread out to find it. Zul went down the main shaft with his squad, eventually reaching an alcove with a door in it. “Brace for entry,” Zul ordered, wary of an ambush. He walked up to the door itself as his squad positioned around it. He withdrew and activated his Plasma Sword and sliced the door’s hinges, then kicked it down. Zul’s head was grazed by an orange discharge, and he immediately ducked. He heard the chorus of energy weapons fire from the back of the new room. He warily crouch-walked forward, noticing an array of terminals ahead for him to use as cover. His squad followed suit, and what was no doubt the command center became the scene of the mission’s third firefight. As his squad fired over the terminals, Zul noticed a Giree pirate different from the rest, with thicker, shell-like chest and back armor, with two protrusions extending from his shoulders. He watched him flee down a hallway to the right, narrowly avoiding a Nova Rifle’s fire. Cowardly mollusk, Zul thought as he sprung from his cover to pursue the pirate. The passage was dark, lit only by the synthetic glow of Zul’s sword. To unaided eyes, navigation would be impossible, but Zul could see the tunnel’s grated sides as he charged through. Eventually, he reached an intersection, with several other intersections ahead. Zul slowed his pace as he entered the labyrinth. Immediately, his left side was pierced by an energy shot. He turned and barreled down the hallway, but the pirate had evaded. Zul briefly paused to decipher the pirate’s hit-and-run strategy, then rapidly looked around for a solution. He noticed coolant return pipes adorning the walls, just beneath the grating. With a slash of his blade, the pipes ruptured, and out spewed an extremely hot liquid that would scald his organic adversary. Another shot narrowly missed Zul’s head. He turned and ran through the searing fountain, rupturing more pipes to deny the pirate freedom of movement. At the end of the hallway, Zul spun around, ran, and turned to enter the other side of the hallway. He slashed at the opposing wall once, then walked back to face the pirate head-on. The pirate raised his sniper rifle, and Zul darted forward to evade. He swung his Plasma Sword to finish off the pirate, severing his long neck from the rest of his body. The body stumbled backwards for a moment, attempting to right itself, then fell forwards. Zul deactivated his Plasma Sword, then holstered it. His hands freed, he seized the severed head in his left hand, and dragged the rest of the body back with his right. Zul’s defeat of the commanding pirate allowed the rest of the mission to pass swiftly. The tactical value of the confirmed death of the pirates’ leader paled in comparison to access to his biometrics; in conjunction with mission-specific decryption technology, it provided the squads with unlimited access to the base’s data logs. The logs were transmitted to the Ionax capital city-ship, Alox, with little effort. From there, it was just a matter of heading back to Axol for debriefing. The squads would meet the routine Voxxel of their wounded, and extraction of their recovered fallen for meltdown. The leader hung his head, resigned. The fact that the pirates would eventually be destroyed by vengeful Ionax forces was of no particular surprise to him, but his own superiors’ willingness to cooperate with pirates – ex-citizens of the Directorate, at that – was. Now their “research project” was exposed to the very alien forces the data was stolen from. He could only guess what would happen next. No doubt the upper echelons of the Directorate Intelligence Network, fearing the Chief Administrator’s wrath, would search for a scapegoat. Even the leader in the room could be the one to face the consequences of his superiors’ negligence. However, the bureaucratic nightmare was only the beginning; the Directorate, in a matter of hours, would find itself in an alien power’s contempt. To the leader’s knowledge, this alien power was no more open to reasoning with foreign influences than the Directorate. Retaliation to the extent of war was not out of the question. The Directorate Intelligence Network could only wait. Can i just create a bunch of animals?